Magnetic Drills There are 31 products. High quality magnetic drilling machine for professional use. 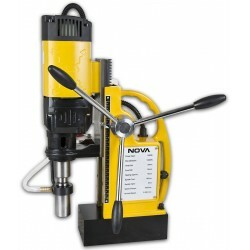 NOVA J13 is our brand new high quality magnetic drill. This small and effective machine will expand our current portoflio even further. Strong magnet gives a solid support for drilling. Max drilling capacity with slugger cutter up to 35mm! Equipped with Weldon chuck (19mm) and cooling unit for cutting liquid. Durable case included. Magnetic drill with MT4. 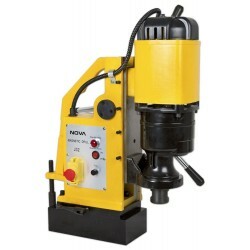 Nova J32 is a professional high grade magnet drill. 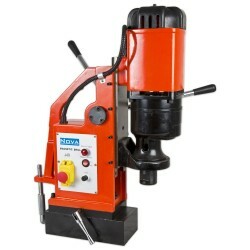 A cutting-edge drilling machine for durable and accurate work. 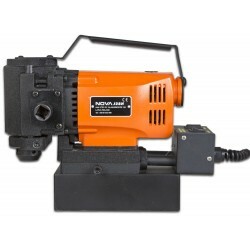 Nova J49 is currently one of the world's most popular magnetic drill machines. Robust and durable construction. Made tough for professional use. A very competitive price thanks to our direct sales. New product! This model is designed to be used in small places. Very strong 1400W motor and powerful 10 000N magnet. 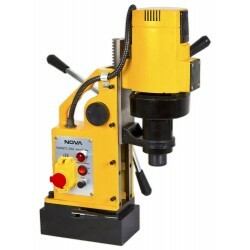 Nova J28 SV is a magnetic drilling machine with variable speed control and reverse function for tapping.